Ώρα για νέο, βαρβάτο update του Dirt 4. 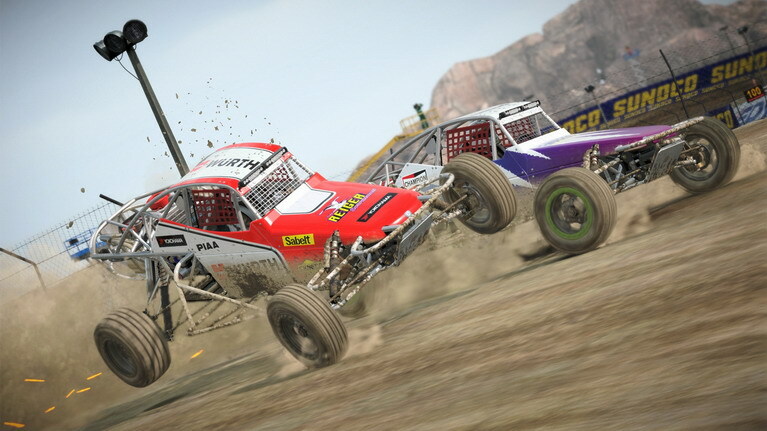 Όπως ανακοίνωσε η Codemasters, το clubs update του Dirt 4 είναι πλέον διαθέσιμο και φέρνει clubs με νέες λειτουργίες, καθώς και αρκετές βελτιώσεις. Δείτε τα πάντα αναλυτικά παρακάτω και πείτε μας αν παίζετε Dirt 4! As with our Community event leaderboards, we’ve expanded our multiplatform functionality out to our Clubs! That means that whatever you’re playing on will no longer restrict you from joining the Club of your dreams or playing a Championship against your mates on different machines. For us, this is one of the coolest new additions to the game. Now with Clubs, everyone can play one another – and that’s a beautiful thing. Yup – now you can set up an entirely unique championship, with never-been-seen-before tracks to level the playing field! As well as having full access to the career stages, RX and Landrush circuits, you’ll be able to run Your Stage events too. You’ll also have the delightful ‘Randomise’ button, which will build you a completely adhoc event – just so you can keep it fresh, unpredictable and a little bit mixed up. Now, this one is something we’re really proud of. A lot of users with DiRT Rally’s leagues found that the point distribution was unfair; that if thousands of players were in a league, only a handful would get points. So we’ve taken on board your feedback, and come up with a scaling system for more fairly allocating points. This means that every place counts – and you can have just as thrilling fight for 80th place as you can have for 1st. • Bug fixes and refinements to improve the quality across all written languages. • Improved anti-cheat detection for Joyride leaderboards. • Fearless difficulty modified so it allows all types of manual gears. • Improved system for storing and re-uploading Community Event times when RaceNet is unavailable. • Staff contracts now reduce at their expected rate in Pro Tour and Jam Session. • Pro Tour scoring is now more consistent. • ‘Up and Up’ achievement/trophy will now unlock when you get promoted to any tier in Pro Tour. • Improved stability across the game. • Fixed car wheels and suspension popping in the Service Area. • Fixed Mailbox specific issues. • Fixed an issue that caused some Community Events results to become invalidated. • Fixed an issue with Delta Daily results. To Εχω τερματισει l, όλα ομορφα και ωραια , αυτές οι πιστες να μην ηταν τοσο κακο φτιαγμένες... Ναι μεν είναι Random όμως είναι κακο σχεδιασμένες , Αν ειχε τις πιστες του WRC 7 τοτε θα ηταν υπεροχο . Θα περιμενω ένα DIrt rally 2. Δυστυχως ετσι ειναι,οδηγουσες τη διαδρομη και ενιωθες συνεχομενα deja vu.Καμια σχεση με τον ξεχωριστο σχεδιασμο του Dirt Rally.